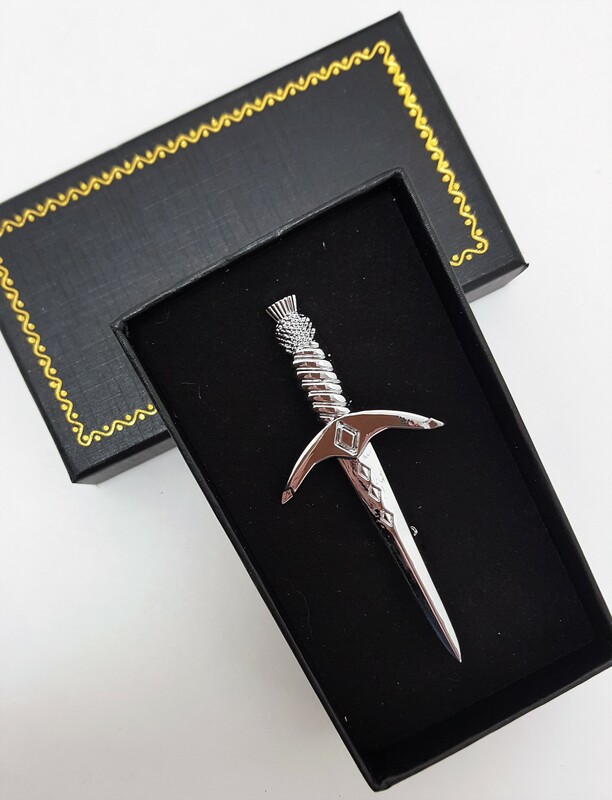 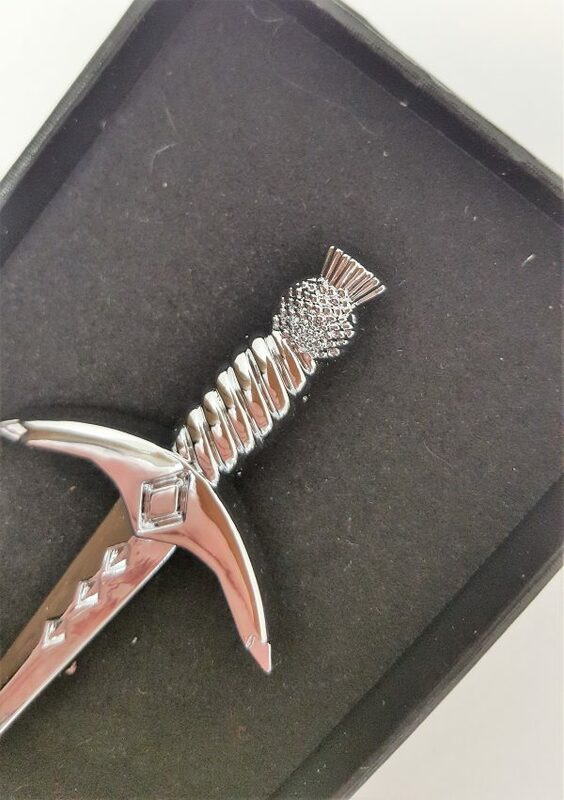 “Chrome Dagger” style kilt pin. 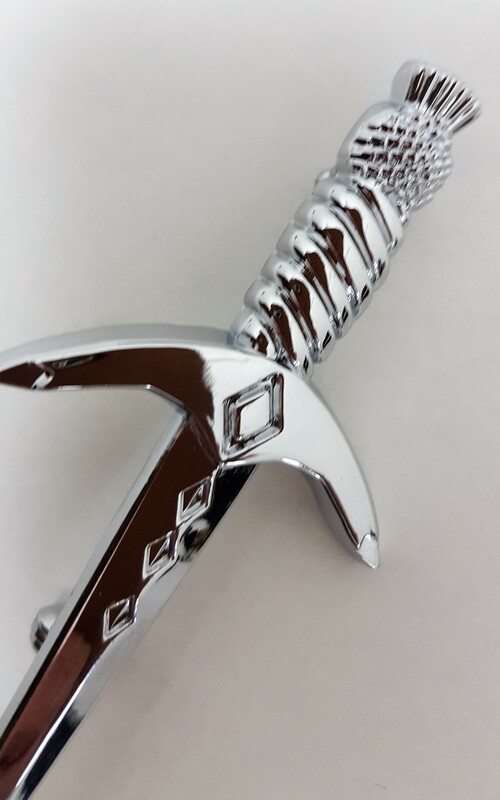 Gift Boxed Chrome effect finish. 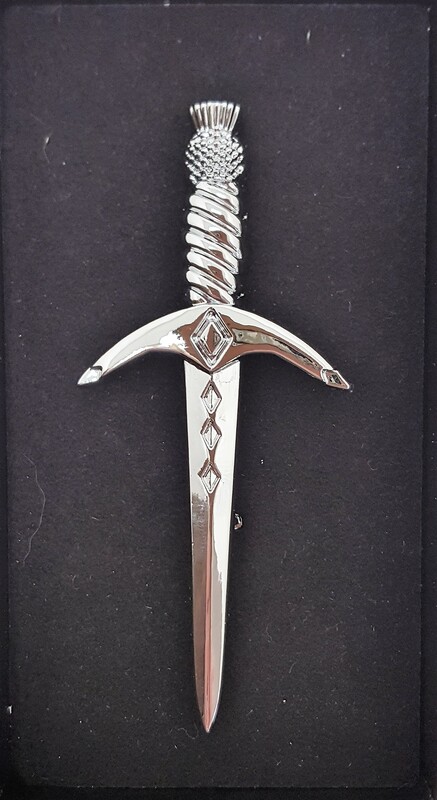 Approx size is 4″.